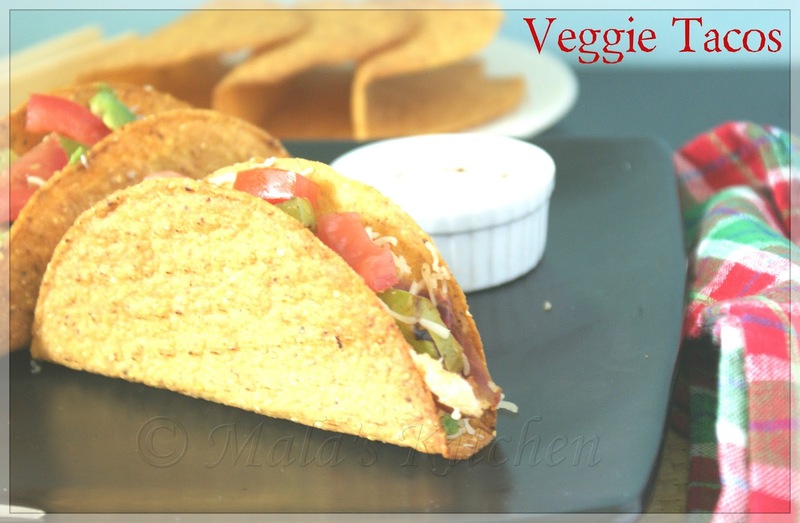 First time i tried veggie tacos. I wasn't sure about how the flavor and taste will be. But these tacos were really so tasty. 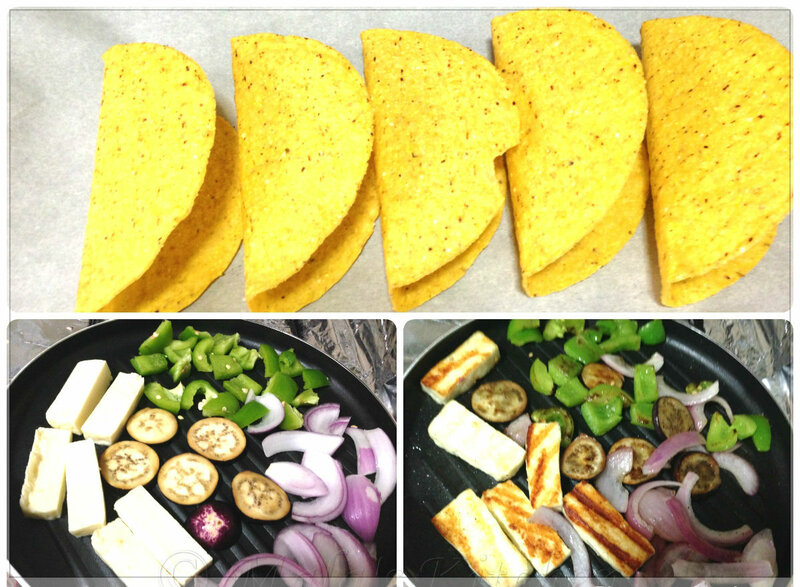 Added Grilled vegetables, blend with taco sauce and garinished with avacado & tomatoes. My children enjoyed it!! 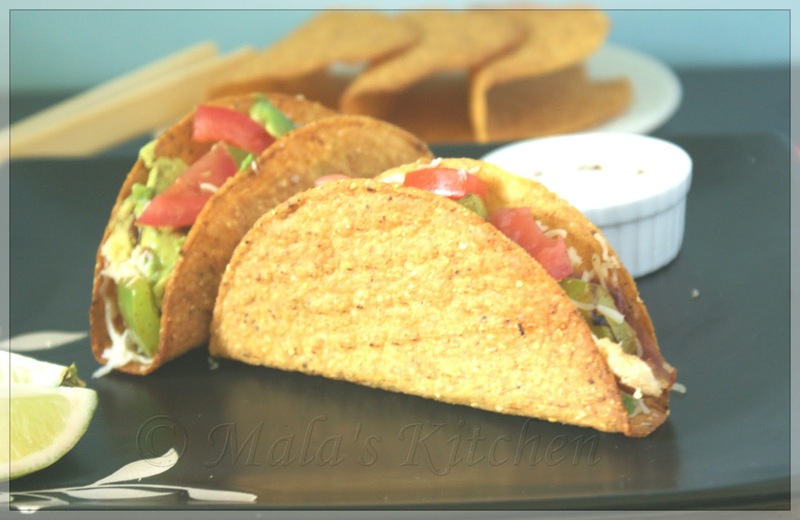 Garnish tomatoes ,avacados , grated cheese & serve with sour cream. Yummy Tacos! I am hungry now. wow!! Healthy tacos.love the combos.